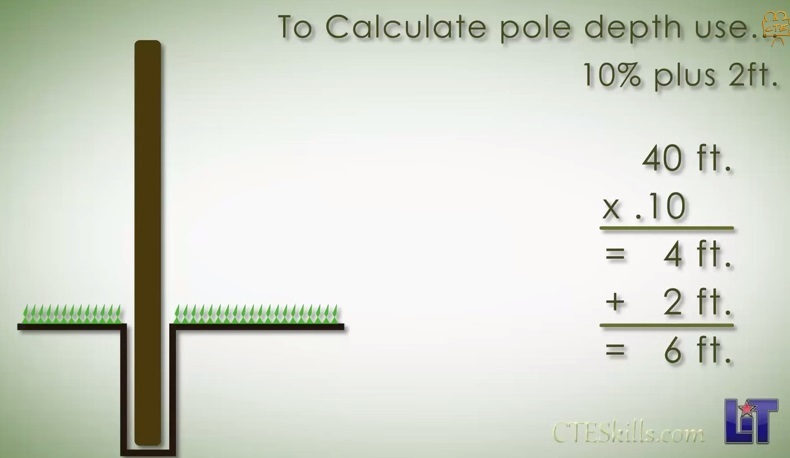 This video is pretty informative for lining out the proper way to install timber poles. My experience has been quite a bit messier, with engineers calculating the exact depth based on a soil survey. However, this rule of thumb is really close to the calculated result in my recollection! Also, there are some good tips about how to read the markings on a pole, understanding the 'rating', or acceptable size vs. mounted equipment weight limit, and an overview of the installation process. Answering the classic question 'How many pole feet does it take to secure a lightpole?"